Great Pretenders Princess Dress Review + Giveaway! This post is sponsored with Great Pretenders and the Great Pretenders Princess Dress. All my opinions are always my own and not swayed by outside sources. Prince and Princess dress up is all the rage in my household! If you have a young child, I am sure it is popular in your house too! One place I love to shop at for all my prince/princess needs is Great Pretenders. Recently Great Pretenders sent us the Great Pretenders Princess Dress and Great Pretenders Cape for all our dress up needs. At Great Pretenders you can find a plethora of awesome outfits including princess dresses, accessories, jewelry, and more. Taylor received this adorable dress and it is so cute on her. I didn’t post a picture of her in it, because it is a bit long, but next year she will be rocking it all year long. I can’t wait!! Imaginative play is so important in this day and age. Great Pretenders allows your kids to have imaginations and put on their favorite outfits, to pretend they are that special prince and princess. My kids have worn Great Pretenders clothing for years and they stayed in excellent shape, passed down from generation to generation. Along with the quality of the dress up clothes, they are also extremely affordable. Great Pretenders is a perfect gift for your child or for a friend’s birthday. Their assortment of clothes makes it easy to find something for everyone on your shopping list. Be sure to check out Great Pretenders for all your shopping needs! There are more I like as well. I like them both. I have a granddaughter and grandson who love to dress up & play. Thanks for the chance to win. My on would LOVE the Triceratops Hooded Cape! I like the pink mermaid dress. My son would Love the T-Rex Hooded Cape! Love the Fairy Blossom Deluxe Dress! My Granddaughter would love playing the role of a fairy. I like this dress: RENAISSANCE QUEEN GOWN. I like the Ladybug dress. I love the Deluxe Pink Tutu skirt! We like the Island Princess. I like the Fairytale Princess dress. Me, I like the Glitter Wizard outfit! 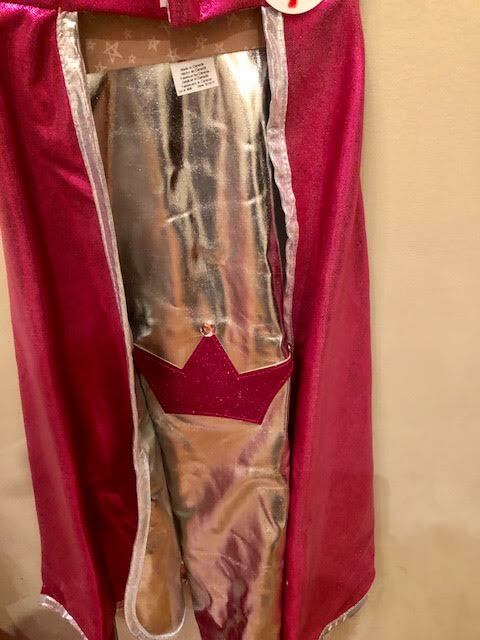 My size 6x daughter received the princess dress for her birthday and I agree with you that it’s super long! If you aren’t handy with a needle, maybe hold off for a few years and hope the kiddo still likes to play princess. The “Deluxe Belle Gown” is absolutely beautiful! Wow! I like the CLASSIC BELLE GOWN. The RENAISSANCE QUEEN GOWN is gorgeous, love it! The Rose Garland Halo is gorgeous. My granddaughter would love it! I like the Make It Creative! – Tutu Design Kit. My daughter loves crafting. My daughter would love the Lady Lucy Dress and Halo. I like the bat cape set. Love the Royal Pretty in Pink! I like the pink doctor set. My daughter loves doctors. This would be so cool for her! I like the Beautiful Rose Headband! I just adopted a little girl my husband and I met while we were serving overseas and she is obsessed with princesses! She says she feels like a real life princess! Everyday she gets up and asks to wear one of her princess dresses. I showed her the site and she liked the Tinkerbell tea party dress best! I like the lady bug dress! My daughter loved the Little Red Riding Hood Tea Party Dress the best. The pirate is so cute for my son. The Lilac Diamond Sparkle Cape is really cute! I like the Reversible Spider Bat Cape and Mask. 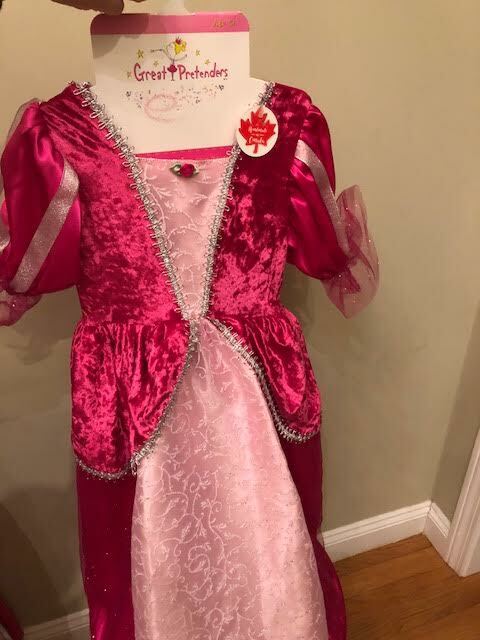 My niece would love the Royal Pretty Pink Princess Dress. the ring around the rosy hair clips are a must have. I like that Red Curly Hair Headband! The Royal Pretty Lilac Princess Dress is my favorite, partly because that is my granddaughter’s favorite color. I think my granddaughter would really love the Lady Lucy dress and halo! I love the dress the best. The dragon cape is super cute! I love that my daughters could pretend with this. I like the ROYAL PRETTY LILAC PRINCESS. Love the batcape with hood…my grandson is batman! I love the Lady Lucy dress. I really like the Bat Cape with Hood. love the tea party witch dress! I love the Watermelon Skirt and Wings!!! I like the Glitter Wizard Set. I love the classie Belle gown, so pretty! Triceratops Hooded Cape is cute! My Chloe Pearl is obsessed with unicorns and she would be thrilled to have the unicorn cape! the violet flower fairy dress is my favorite. it is super cute. My favorite is the Royal pretty in pink!dress! I like the batman cape the best. The little red riding hood dress is cute. I love the sparkle mermaid dress. I like the Bumblebee Dress. I like Tinkerbelle Tea Party Dress. I like the reversible wizard cape! I like the Bat Cape With Hood. I like the Chainmail Metallic Cloak. Thank you for the giveaway!